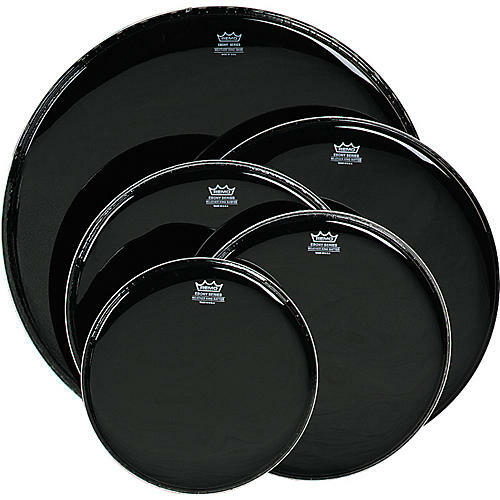 Remo Ebony Black Ambassador Resonant Bass Drumhead 26 in. Earn up to 824 reward points. Great sound at a great price! Resonant heads are responsible for the projection and sustain of your drums. With fresh resonant heads you achieve more clarity and vibrancy in your drum sound. Ebony resonant heads bring an accentuated midrange with controlled highs and a dark, attractive appearance. Get ahead with Remo! Order TODAY!